Apart from the time I saw a man almost drowning in Tramore. That was scary. And when I read Tyranny by Leslie Fairfield. That's the scariest book I've ever read. But this isn't a book. This is real life. This will be an extremely long post. Brace yourselves. He became Taoiseach. And of course, you already know from my fully comprehensive guide that the banks were poor, then the government under Mr. Cowen guaranteed the banks... After all of this, and more scandals, the hate for Mr. Cowen was so widespread and unanimous throughout the country that in an attempt to minimize his association with Fianna Fail, his party, he stepped down as party leader. 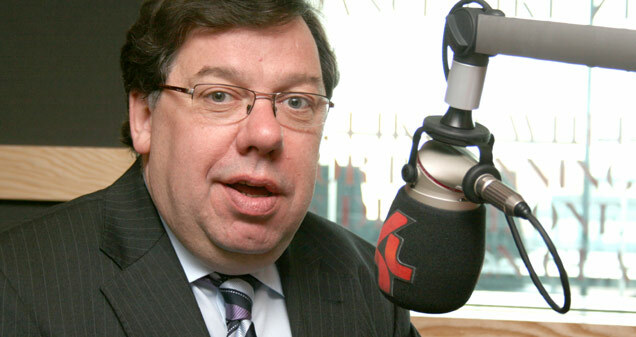 Mr. Cowen is not Taoiseach anymore. 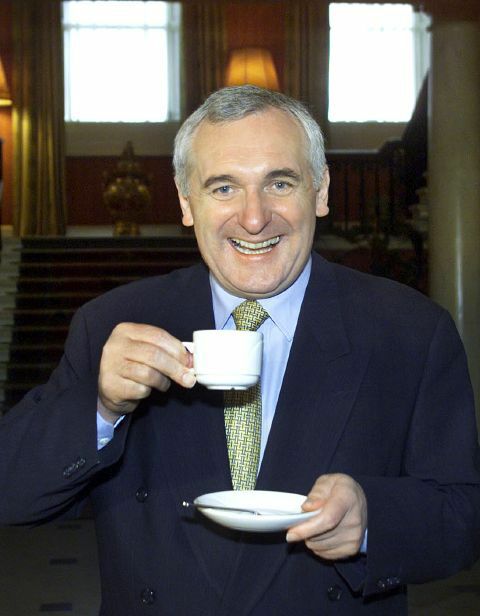 In fact, for the past month, we haven't had a Taoiseach. We're having a General Election. Probably should have mentioned that. Sorry. Polling day is 25th February, in three days and a bit (and before you start getting any ideas, I'm under eighteen, so I don't have a vote) and today, the first canvasser came to our house. (Honestly, it's not like I live in the back of beyond.) He belonged to the political party Fine Gael. Since the election started, he has been a contender. Really, he's grown quite popular with people, because they don't want to vote for Fianna Fail, since it was their (coalition) governments that led Ireland before and during the recession. Fine Gael say the government is full of corruption at the moment (true, unfortunately) and that they're going to make everything better. But, in my opinion, even if they try, they won't be able to give everyone jobs and make the country prosperous again. Are you still here? If you are, thank you. Keep reading, I'm not done yet. When Iceland and Greece went into bankruptcy, they quickly got rid of their corrupt governments and banks, but Fianna Fail still remained in power up until the end of January. There have been no serious protests of any kind. It's actually quite strange, because Irish history is, in a nutshell, seven hundred years of uprisings and rebellions against our English oppressors, in which many heroes have died in vain. Nobody seems to want to do that any more! People are angry about what's happened to them, their standards of living have definitely dropped, and our young people, our assets are emigrating in search of work in Australia or America, and they have so many problems that they've lost faith in our government, in these political parties. But nobody wants to protest or be martyred for the good of Ireland! What on earth has happened? A few weeks ago, I went to see The Way Back. I saw the Russian gulags in Siberia, and the spread of communism (and yes, we have an Irish Communists Party) in the twentieth century, and as I walked out of the cinema, I was struck with the terrible thought of how lucky I am that, because of blind, blind chance, that doesn't happen in Ireland. And then I thought of Egypt, because that was in the newspapers, and I thought to myself, 'What am I doing to make sure that doesn't happen to Ireland?' And all I came up with was a big, fat NOTHING. And I know you're thinking, 'Eleanor, why would you think that would happen in Ireland?' I'm getting to that. Hang on a second please. It was only a blind chance that I was born white, female and Irish, in 1995. I believe it was only a blind chance that Ireland is not a dictatorship, and Egypt was. Yes, I'm aware that there are number of factors that have led to Ireland's democracy, and Egypt having a dictator, but you know what I mean. I said earlier that there have been no serious protests against Fianna Fail and the banks. Yet. It may take years, or six months, but something will crack. And some young, handsome graduate is going to protest about something, students fees maybe, and get himself hurt. And he will die. And that'll be the START. Think Egypt, Libya. The fighting and rioting in Ireland will be on international news, as the death tolls rise. Maybe you'll see videos on Facebook or YouTube of protesters being shot in the middle of Grafton Street. Maybe I'll be in one of those videos. And then, eventually, America will step in, as it does, and bring in the big guns. And those guns will be really, really, really big. And this just won't be happening in Ireland, oh no. This will be happening all over the world. Total devastation. And then the superpowers, like America, will move in with their terribly big guns and they'll think they're trying to help. But they won't. And then, the people in those superpowers will start to get mad, and the superpowers and the terribly big guns will move out and try to sort out things at home, but it won't work. Third World War. And you'll have countries like Ireland and Libya destroyed, and the superpowers imploding, and the world will end. In, you've guessed it, 2012. You may not believe me, and that's fine. You may like to telephone the HSE and recommend me for counselling. I would prefer if you didn't do that. But yes, I do believe this will happen. And it terrifies me. But imagine how terrified I'll be when I have to barricade my doors during a siege, wondering when I'll next get to eat. I'm not saying this is all certain. 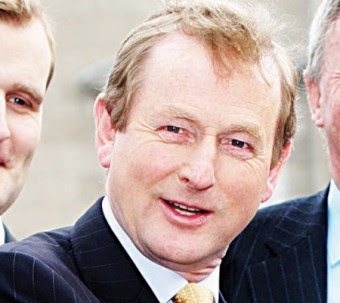 The only thing I know that's certain is that Ireland's next Taoiseach will be white and male. What am I doing to make sure that Ireland survives all of this, to prevent the end of the world? And it really, really depresses me. You can just take all of this with a pinch of salt, if you want. To be honest, this election just seems to be whose the least-worst for the job. No matter what they promise, I doubt that we'll be out of this situation before I start college. If more people were like you, our future would be alot better than it is now. Well on the plus side, I finally know how to pronounce Taioseach now! Sadly not how to spell it, but hey ho.